Adorable little girls deserve adorable birthday parties! Hello Kitty is certainly adorable and so girly. 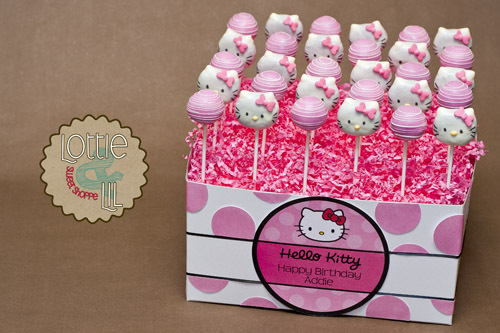 These mix of standard pink cake pops and designer Hello Kitty cake pops added to this ultra-cute birthday theme. 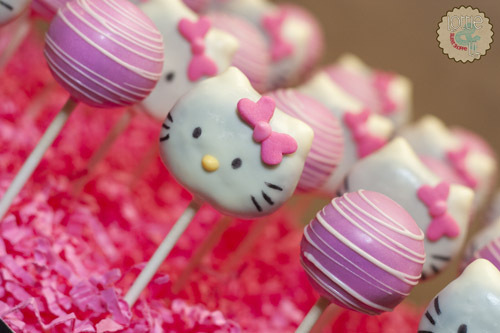 Showcasing the pops in a pink Hello Kitty themed cake pop display is the purrrfect touch! This entry was posted on Monday, June 24th, 2013 at 8:19 am	and is filed under Birthday Pops.